Page 3....More comments from Anna Lee's fans, family and friends on the event of her passing. My daughter and I were saddened to hear of Anna Lee's passing. She was a lovely, beautiful woman and a wonderful actress. She will be greatly missed. will miss anna lee very much!!! i have been a fan of hers and of gh's since 1977! TAKE HER PLACE!!! SHE IS THE ONE AND ONLY LILA QUARTERMAINE!!! AND EDWARD (JOHN INGLE) SKYE!!!! As a lifelong GH watcher, I have been a fan of Ms. Lee's for decades. Her other work was affecting, but seeing her in a daily series was somehow more engaging. I especially enjoyed the late 70s and early 80s when they gave her more to do than simply being the mainstay and matriarch of the Quartermaines. She was worthy and capable of so much more than just doling out sensible advice to the younger characters. Her timing, humor, and talent would have been an asset in a dramatic or comedic story, and she was sorely missed when ABC chose to unceremoniously terminate her employment. Dignified and beautiful was a description frequently applied to Ms. Lee. But that would be a drastic understatement. She was luminous on screen, and she emanated a grace, warmth, and kindness lacking in so many who attempt to make a lasting mark in the entertainment world. God's blessings to her family and friends as they grieve her death. I watched the Daytime emmy show and was very touched by the announcement that Vanessa Marcil made regarding Anna Lee. I thought it was very appropriate that Ms. Lee's son was there and able to accept her award. I will miss seeing her on GH. She was an inspiration. Hello, I'm Gary II, from Ypsilanti, MI, did the Daytime Emmies pay tribute to Anna Lee?! When she died, everybody was in turmoil, for those who have watched her on General Hospital over the years, will remember her as the sweet matriarch Lila. I haven't had the pleasure of seeing Anna Lee in anything but General Hospital, but she was an asset to the show. She made the Quartermaine family bearable. She was their heart and I will miss the story lines around her. Thank you for this site. Thank you for your message of condolence and also for the opportunity to share my thoughts on the memorial page you have created for my Aunt Joan (Anna Lee). She was my Grandmother`s youngest sister and I have many fond memories of her visits to Canada when I was young. She had a classy way of making you feel special and I was fortunate to have corresponded with her throughout the years. Her letters were full of wit and charm and genuine opinions about her life. was Flying Tigers with Anna Lee as a nurse and also starring John Wayne. I am saddened by her passing and share the grief of her loss with all family and fans. have been a fan of GH since my early years, almost since its beginning. Edwards have come and gone (the new one just doesn't do it for me) but there will never be another Lila. I hope that ABC does not recast that role but rather follows the trend of some other shows, such as with John Ritter, and allows her to truly die on the show. This might help us through the characters in the show, grieve and honor her. I would especially love to hear Monica, Emily and even Luke talk about this gracious lady who influenced them all through her soft kindness and gentle nudgings. was devastated by the loss of our cherished Anna Lee, known to all as the beloved Lila Quartermaine on General Hospital. Having lost my spouse almost a year ago, I am aware of how devastating a loss like this can be, and I offer my heartfelt wishes and condolensces to Anna's family and friends. Be kind to yourself; you will need it in the days and weeks and even months ahead. I am saddened to report my anger and resentment at ABC. I too heard all the rumors regarding Anna Lee's being bumped to recurring and assurances that ABC would be using Anna Lee again in the future. I too remember Anna's dear son, Jeffrey Byron, stating that this would set Anna back, being 'let go' by GH. I hope that GH and ABC are happy. They can be forever remembered as the people that killed the greatest legend: Anna Lee. Rest in peace, our dear Anna Lee. You deserve all the love and dedication that is now coming your way. The world today, shines a little less brightly, and our hearts our heavier in our chests as we say goodbye to someone who became a member of our family through her role on General Hospital. I have watched GH for more years then I care to admit, and Lila was the grandmother we all wanted to have. Not because of the writers (heck in some cases in spite of them), but because of Anna herself. She, taught generations about true style and grace, about how to hold your head up high no matter what life throws your way. She demonstrated it again last year when ABC treated her so badly. ABC should be ashamed of itself for not acknowledging this beautiful lady and what she meant to daytime television. To the family, we will never be able to tell you how sorry we are for your loss. Please know however that although we may not have been blessed to know her in person that she will always live in our hearts and minds. You are in my prayers. just got back home from the Daytime Emmy's and was so sad to hear that Anna Lee had passed away. She was so beautiful and had such a nice way about her. We always said she looked just like our Tanta Lina who passed away at 101 yrs old in 2002. They were so similar in many ways. Anna will be greatly missed! I will have to look up some of her early movies. What part did she play in the Sound of Music? I had no idea she was in that. My thoughts and prayers are with her family! I am sorry to hear of the passing of your mother. I have been a fan of GH since the 1960's when my mother started watching the show. Anna was a wonderful actress. My deepest sympathy is with all her family. I have watched her on the General Hospital since she first came on. I had always taught she was the most beautiful women there was. She shone from her heart out and it wasn't just skin deep. I hope that in the years to come I can have half the respect and love I felt her receive from the cast members on the show as I grow older. She made my getting older so much easier as I think her real inner self came through on the show. I was sorry to hear they had not renewed her contract but I had hoped it was her decision and not what was reported. I feel as though I have lost a member of my own family. I love her and wish the best for her family at this time. I just found out about Anna Lee's death. I don't watch General Hospital because it comes on when I am sleeping, but I keep up with it on the internet. I was looking at the message board when it was mentioned about her memorial service on the show and got a big shock. I had watched her in the role of Lila for as long as she had played the part, and I really and truly believe that no one could have played like she did. She was a very strong person in her character and from what I have seen and heard of her she was as a person also. She made the Quartermaine family. The others just added to it. I hope that her family and friends are all well and prayers are with them. She will be greatly missed. I have watched "General Hospital" for many years and loved Anna's portrayal of the dear Lila Quartermaine. She was a genuine treasure to the daytime show and to Hollywood. I remember seeing "The Sound of Music" and she was one of the nuns with Julie Andrews. To Anna's family, you have my deepest condolences. General Hospital will not be the same again without Anna's portrayal of the determined matriarch. I did read that the soap will somehow put Anna's passing in the storyline. I really dont know who will answer this but I hope someone will. My name is Chris and I have been watching GH since I was 15 years old. I am now 41. I loved Lila like she was my Mom. I never had a mom so seeing her on t.v. and taken her advise made me who I am today. Please to the family-Thank you for letting me be apart of your family. I love here and will forever. I just found out that Anna Lee passed away after watching Friday's episode (I have to tape the episodes daily due to work schedule)...while I was forwarding past the commericals to catch the previews I passed what I thought was a picture of her and a memoriam. I actually thought, no way did I just forward through that, so I re-round the tape back just a little bit and I did see what I thought I saw. At that point I was totally shocked that our "Lila" had passed away. I cried for hours. Then I watched part of the Daytime Emmy Awards that same evening and cried again when she was presented with a Lifetime Achievement Award and she was not there to accept the award. That is when her death truly hit me hard. Anna Lee was truly a "lady"...she had beauty, grace and a style that was beyond words. We will truly miss her. My heart goes out to her family and please know that our thoughts and prayers are with all of you now. She will definitely be remembered always...how could any of us forget her. But knowing she is a beautiful angel in heaven gives us some comfort. I hope the writers of GH will grace her with a proper memorial on the show. She deserves that and more. I know she was so loved by all the actors of GH so please honor her and allow her fans to honor her as well. I feel having a memorial on GH would give everyone concerned some kind of closure. Can you please at least give all of us that much.? I have been watching General Hospital for 25 years and all of the ABC soaps for just as long. I remember watching Anna Lee in another picture entitled Whatever happened to Baby Jane starring Joan Crawford and Bette Davis. 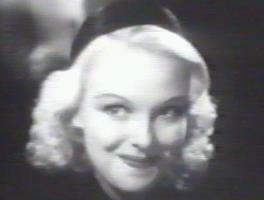 I saw Anna Lee in that movie and I couldn't believe how beautiful she was and always will be. I was so shocked to hear that she had passed from this life to her eternal life with our god the father. May she rest in peace; I and many other fans of General Hospital will sadly miss her. Signed, Diane Insalaco Gulfport, MS.
admired her work on GH but have been a fan since the Sound of Music.